Could your marketing campaigns work better? Updating your customer and prospect lists can sometimes double or even triple your results. Fill in phone numbers and email addresses to finally reach the people you’ve been missing. Put a personal touch on your offers and messages with the right contact names. People respond more when they feel you’re talking directly to them. Match your files at an individual or address only level – we’re happy to help you with other advanced targeting options too. Append demographics or buyer behaviors (whether consumer or business). 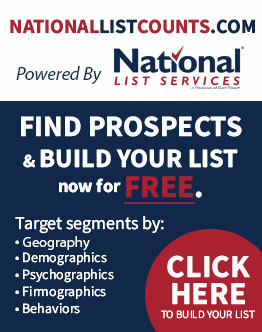 Find out if your prospects are outdoor, golf or photography enthusiasts. Or correctly select businesses by sales volume, SIC Code or number of employees, for example. Can we help you with this? Our experts are here to guide you through an almost endless number of data elements you can append to your file. After all, the more you know about your customers, the easier it is to find new ones just like them.